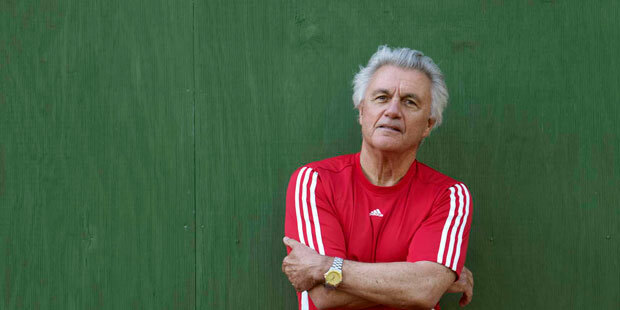 John Irving is a famous writer, novelist and screenwriter born on 2nd March 1942 in Exeter, New Hampshire. Irving was member of the Exeter wrestling program first as an athlete and then as a coach. According to Irving it made him disciplined and determined. His wrestling interest is also prominent in many of his works. Irving was ‘An Outstanding American’ (1992) in the National Wrestling Hall of Fame. He studied at the University of Pittsburgh for a year after which he moved to Austria where he enrolled in the University of Vienna. He travelled across Europe and taking in experiences that were later uncovered in his novels. He returned to America and attended the University of New Hampshire becoming a graduate in 1965. Irving studied in the University of Iowa’s Writers’ workshop for some time in the late sixties and received a MFA from the Creative Writers program. Irving’s first penned work was a novel named ‘Setting Free the Bears’ that was published in 1968 when he was 26 years of age. Although the novel did gain some success but it failed to attract a larger audience. Irving’s second and third novels were ‘The Water-Method Man’ and ‘The 158 Pound Marriage’ also mediocre success. John Irving was offered the post of Assistant Professor from the Mount Holyoke College in 1975 which he accepted. He felt that his novels were not being well received due to lack of marketing from his publisher Random House so he changed to Dutton that ensured him better promotion of his work. ‘The World According to Garp’ (1978) was published as the first novel by Dutton and instantly became a success and ranked as a best-seller becoming a cultural sensation. John Irving who was now a much successful name in the literary world launched his next novel titled ‘The Hotel New Hampshire’. This got mixed reviews but was quickly adapted into a film. His short story called ‘Interior Space’ was given the ‘O. Henry Award’ in 1980. Other novels by Irving include ‘The Cider House Rules’ (1985), ‘A Prayer for Owen Meany’ (1989), ‘A Son of the Circus’ (1994), ‘A Widow for One Year’ (1998), ‘The Fourth Hand’ (2001), ‘A Sound Like Someone Not Trying To Make A Sound’ (2004), ‘Until I Find You’ (2005), ‘Last Night in Twisted River’ (2009). His most recent novel is ‘In One Person’ published in 2012. ‘Owen Meany’ became a best-seller book after the success of ‘Garp’. ‘The Hotel New Hampshire’, ‘The Cider House Rules’, ‘A Widow for One Year’ and ‘The Fourth Hand’ were on ‘The New York Times’ bestseller list. ‘The Cider House Rules’ was also made into a film adaptation and got many Academy Awards nominations. Irving won the ‘Best Adapted Screenplay’ for this film. John Irving became considerable rich because of the success of his novels and so he devoted all of his time to writing except for some teaching positions that he took. He also became the wrestling coach of his son’s high school. Irving has also written some short stories such as ‘Trying to Save Piggy Sneed’ and ‘An Imaginary Girlfriend’. Currently John Irving lives in Vermont with his family. He continues to work on his books and screen adaptations. He has proved himself as a ‘comic genius’ of this era and a brilliant storyteller.